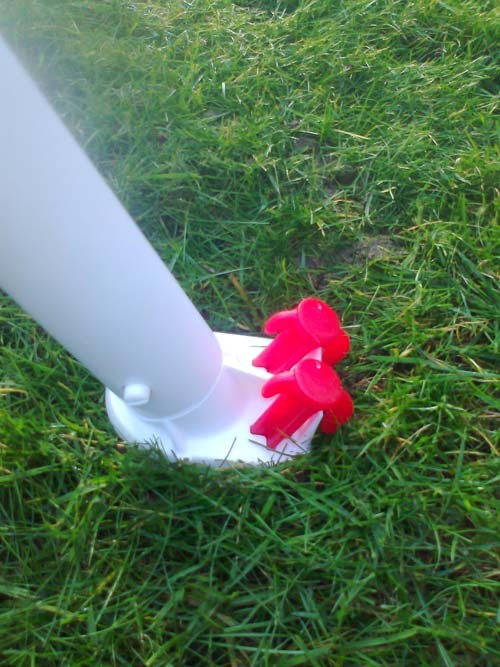 This 9v9 goalpost resolves the issue of dipping crossbars seen on other uPVC goals. 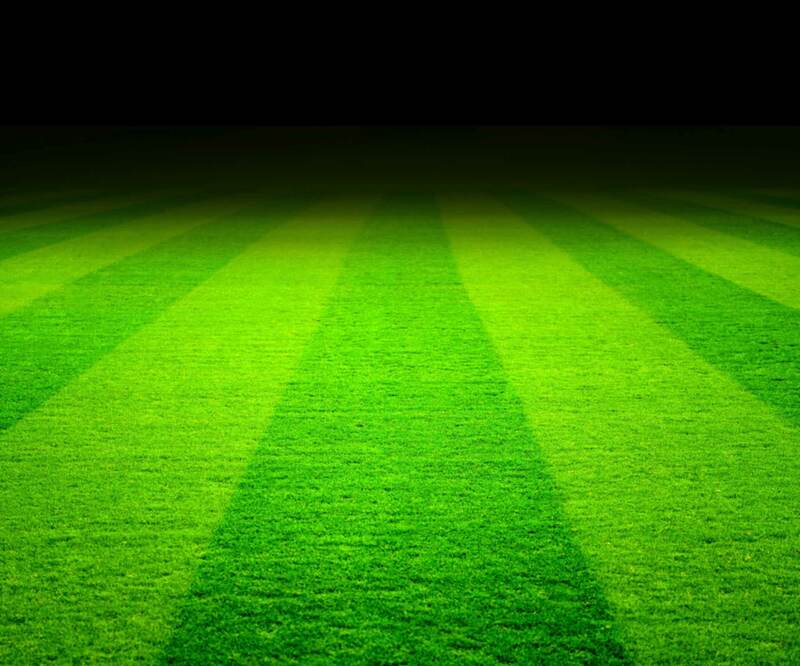 The grass surface 9V9 goalpost is made from 68mm reinforced uPVC with a two section aluminum crossbar for ultimate straightness.The ideal club MATCH goal. Included is a top quality net and unique ground anchors that require no digging. The goal assembles via means of a ‘push fix locking’ system and nuts and bolts on crossbar to connect the straight aluminum crossbar. 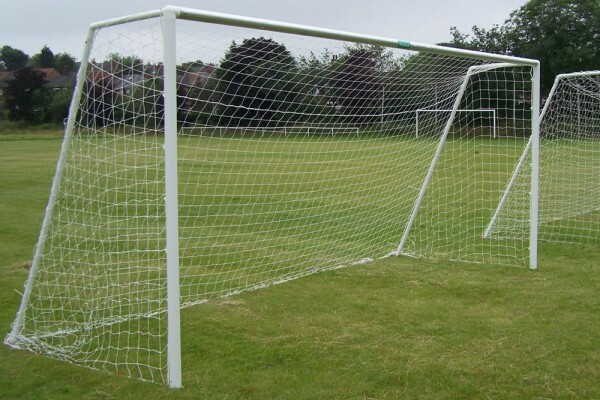 This goal will also fit into our large 2.8m carry bag (available separately) for easy transportation as the crossbar is made in two sections with a join in the centre. (This goal can easily be stored without the need for a bag). 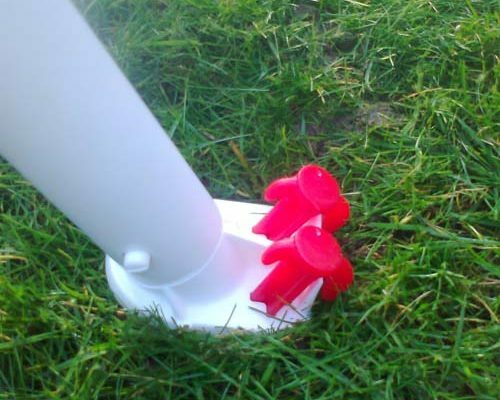 This goalpost includes Arrowhead Net Fixings for neat and quick fitting of the top quality net and ground anchors. 9v9-goalpost with Arrowhead net fixings and nets pegged into the grass. Please note the image above shows the aluminum crossbar in mill finish, the goal comes with a white painted crossbar. 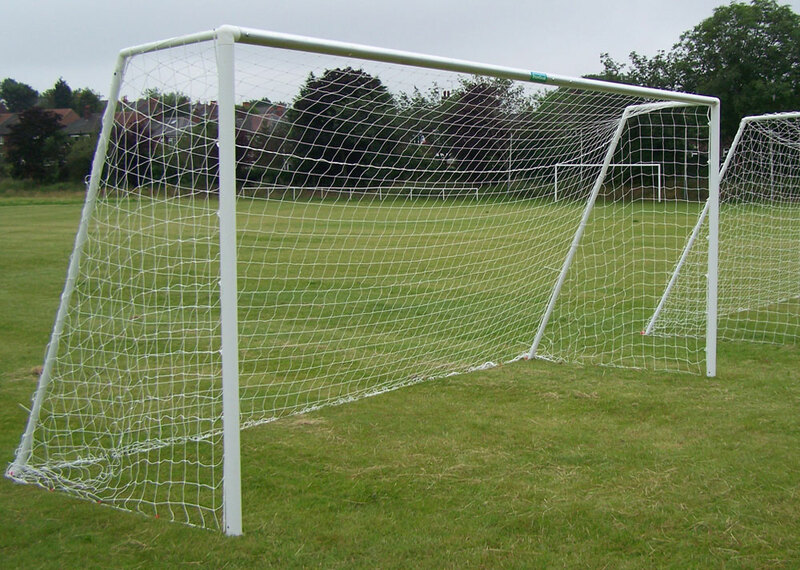 This goal is normally supplied with two section crossbars, however if goals are left assembled the goals are available in single section 16′ long crossbars. £255.70p inc VAT click to buy online.